As if West Virginia wasn’t one of the tourist jewels of the U.S. already, one of the most popular sites in the state is the Greenbrier River Trail. The creativity of West Virginia’s State Park system took a former railroad site within the Greenbrier County and created a lush recreational venue 77 miles long. 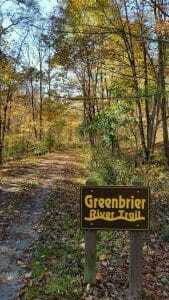 The appeal of Greenbrier River Trail is the location that evokes memories of West Virginia’s history. The attraction of the Greenbrier River that wends its way through this region provides a calming effect and a kind of “back to nature” aura tourists love. The former rail that once ran through this area is a one-of-a-kind opportunity to spend a week or two communing with nature or enjoying all that the Greenbrier River Trail has to offer. 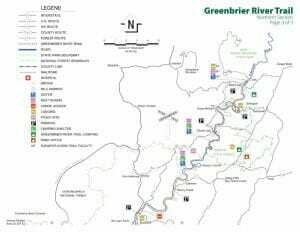 For example, the Greenbrier River Trail is a hiker’s dream. With a nearly 80-mile long hiking trail, hikers have a chance to breathe fresh, clean West Virginia air and enjoy glorious scenery. Start your hike in Marlinton, an old train depot and hike southward through a well forested area. 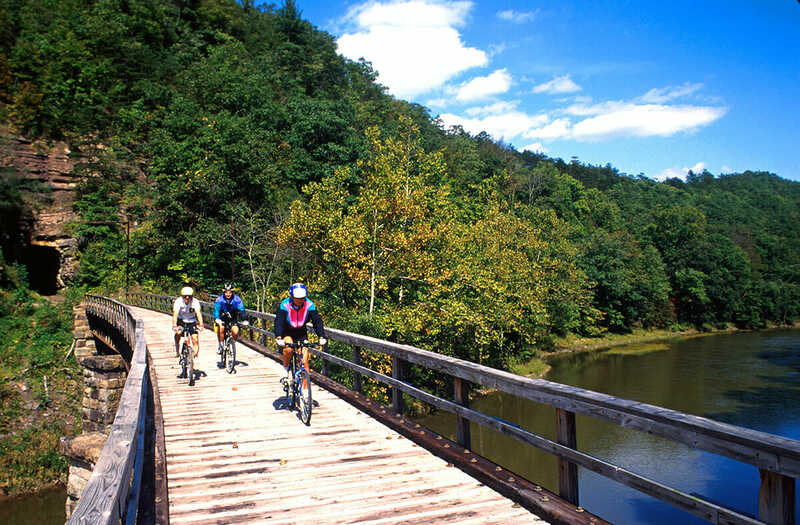 If hiking isn’t a your reason to visit Greenbrier River Trail, there is the lure of numerous activities like swimming, bicycling, backpacking, and horseback riding. With the Greenbrier River in close proximity, there’s an opportunity to explore river activities like paddle boating in the warm West Virginia sunshine. If you are an avid photographer, Greenbrier River Trail will not disappoint. Between the rolling landscape, the natural flora and fauna, the true essence of West Virginia is ready and waiting to be captured. The Greenbrier River Trail is an ethereal idyll in winter that is simply breathtaking. People also come from miles away to enjoy cross-country skiing and the ample snowfall. Nearby Snowshoe WV provides for a winter wonderland of downhill skiing and snow-tubing. Busy lives create greater levels of stress. It’s easy to understand why seeking tranquil places for vacation is a priority. 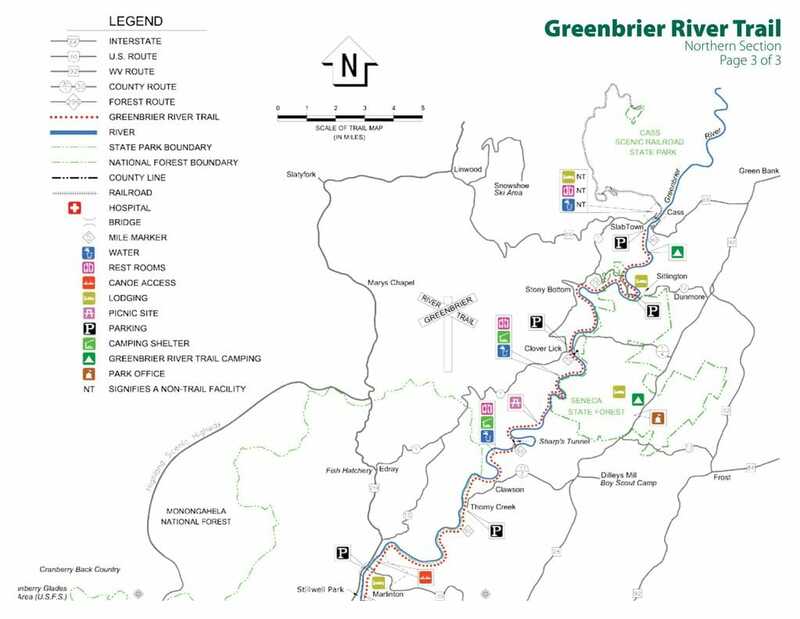 Greenbrier River Trail prides itself on catering to the needs of individuals and families seeking an escape from all of the hustle and bustle. Greenbrier River Trail provides the kind of solitude that many seek. This is balanced by a round of outdoor activities. Cabins and campsites open in Greenbrier State Forest from mid-April until closing in October. Cabins are limited so reserve early. 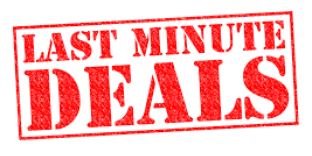 Also visit Mountaintop Condos for nearby condo rentals. ML242 1BR/1BA Corner Unit Great View WiFi Free Parking Village!